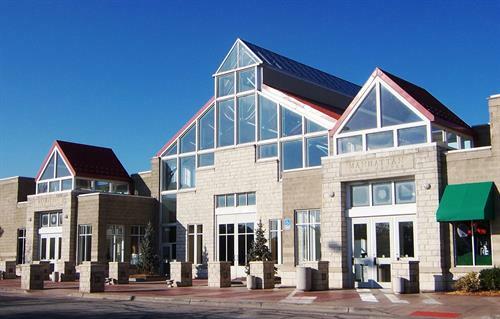 Manhattan Town Center is a single-level, enclosed, regional shopping center located in Downtown Manhattan. The center was established in 1987 through the unique forethought of the City of Manhattan and Forest City Enterprises, built to reflect the architectural flavor of Manhattan and the surrounding communities and to maintain and foster the expansion of the Manhattan retail community. 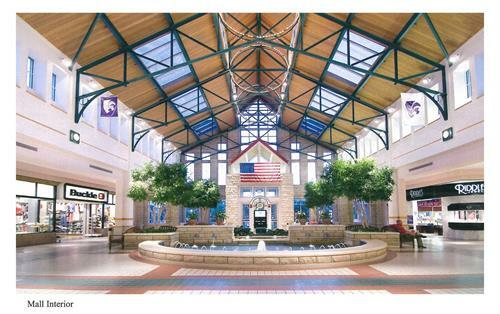 Manhattan Town Center is located in the heart of downtown, encompassing 380,000 square feet with more than 60 small shops and six full service restaurants located inside the mall as well as adjoining outlots. The property is anchored by Dillard's and JCPenney department stores in addition to AMC Dine-In IMAX Theatre. From Junction City: Take I-70 east to exit 303. At ramp turn left and proceed 6 miles east on K-18. Once in Manhattan, follow K-18/Ft. Riley Blvd. east to Tuttle Creek Blvd. There are two entrances.